Backer Hotwatt has been a leader in manufacturing resistance products for sixty years. They have evolved from being a large supplier of the appliance industry to a quality supplier in medical, packaging, instrumentation, aviation, transportation and military fields. For all of your electric heating elements needs, call Backer Hotwatt, they will provide the quality product you need at a price you can afford. At Tutco SureHeat, we have a proven history of exceeding customer expectations with our electric heating elements. Since 1968, industries ranging from food & beverage, pharmaceutical & electronic, to automotive & aerospace have benefitted from our electric heating solutions. From custom engineering to the final product, let our team at Tutco SureHeat be your trusted partner in industrial heating element solutions. Call or visit our website today to get in touch with a Tutco SureHeat representative. Electric heating elements are heat generation tools that convert an electric current into heat. Electric currents can be transformed into heat when they encounter resistance in a conductive medium. Highly electrically-resistant metals transform electricity to heat very effectively. They are made into tubular heating elements, immersion heating elements, heating coils and all kinds of other heating elements that generate heat through the transformation of electricity. Because of the wide variety of electrically conductive materials in existence, and because of the versatile properties of many of those materials, electrical heating elements are available in a wide variety of compositions and configurations. This diversity has attracted the attention of professionals throughout industry and commerce. Today, electrical heating elements are among the most popular heating element varieties. In industrial contexts, electric heating elements can be found in all kinds of drying and processing equipment. In commercial and institutional settings such as in laboratories and hospitals, electric heating elements can be found in heat sterilizing equipment. Many consumer products also involve the use of electric heating elements; just a few examples include dish washers, toasters, ovens and other small appliances. 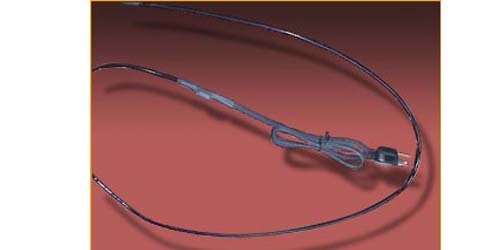 Each heating element is specially suited to its application. Electric heating elements can be made from many different heat conducting materials, but they are most commonly made from metals. Some electric heating element varieties are capable of generating temperatures of up to 1,300° F. Depending on the design, an electric heating element can heat other objects through direct contact, through radiation or through convection; different methods are appropriate for different applications. Electric heating elements are usually combined with housings, control systems or other complementary equipment, but some electric heating elements can feature nothing but a resistive coil and connection media for power input. Often an electric heating element will be combined with equipment that helps to distribute the heat it generates. For example, a standard hard-wired electric heater can have a central heating element that is combined with fans that force the hot air in order to increase the affected range of the heater. Regardless of an electric heating element’s size and heat generation capacity, care should be taken to ensure that the equipment has been correctly paired to its application. Not only will this improve the performance and effectiveness of the equipment, but it will reduce the risk of accidents like fires and short circuits that are caused by improper equipment use. 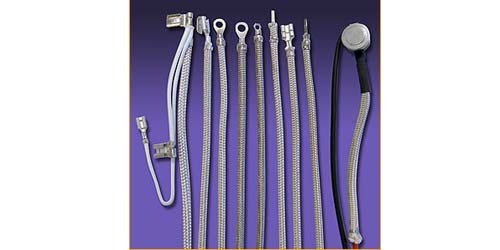 Electric Heating Elements - Jen-Ter Wire & Element Inc.